The PERI Job Fair 2014 was conducted on 22nd & 23rd March 2014. An astounding 40,000 candidates from all over India congregated at PERI campus, Mannivakkam, West Tambaram, Chennai to meet 37 companies from various fields including IT, BPO and engineering. As candidates competed for 5,000 job openings, companies hired their top recruits. The fair was open to all 2011, 2012, 2013 and 2014 graduates. The candidates were from varied disciplines including engineering, management, arts, science and life sciences. Entry was free for all with the doors opening at 8.00 AM. The fair was inaugurated at 9.30 am by Mr. Dhanabalan, Retired Chairman, TANSTIA-FNF in the presence of Mr. Hariram, Chief Regional Manager, Indian Overseas Bank, the Chairman, Mr. Saravanan Periasamy, the Principal, Dr. Sendil Velan, the COO, Mr. Sasikumar, representatives of the attending companies and PERI staff. By around 10.30 AM, more than 25,000 candidates had arrived leading to a total of 30,000 candidates on the first day. Another 10,000 candidates came on the next day setting the final total to approximately 40,000 candidates. Candidates from Delhi, Bangalore, Ranchi and many parts of India arrived, in addition to candidates from all over Tamil Nadu. 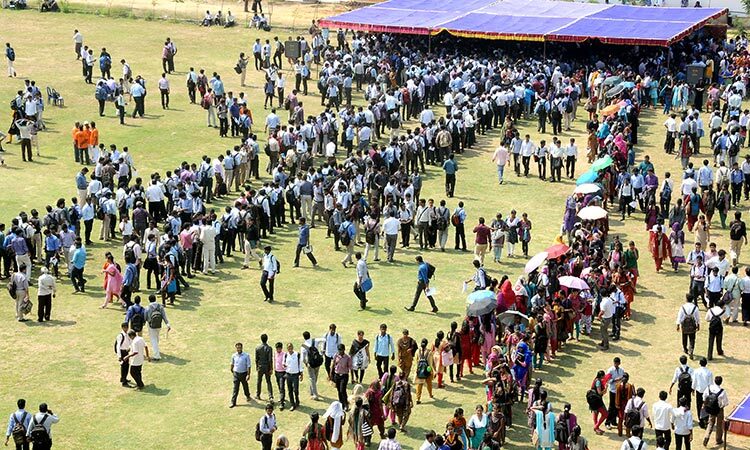 This has been one of the largest turnouts for a job fair in Chennai. PERI had organised facilities for various stages of interview including group discussion, face-to-face and multi-panel interviews. In addition, free transport to the fair from Tambaram, Perungulathur & Vandalur was arranged. The extremely large crowd helped keep the fair buzzing and alive from start to end. After rigorous shortlisting of thousands of profiles by the attending companies, a few thousand candidates had been shortlisted for the next round of interviews. The actual number of selected candidates was decided over the subsequent weeks. Some companies which had not been able to make it to this edition of the fair due to space constraints expressed their interest in being part of the next fair. 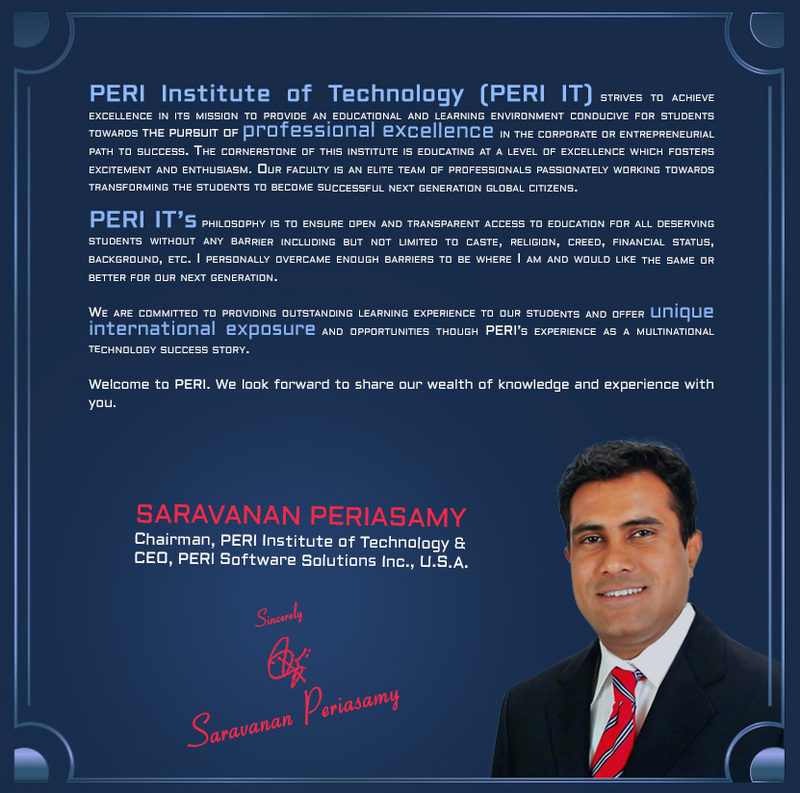 They have also promised to conduct campus placements at PERI IT for our students.